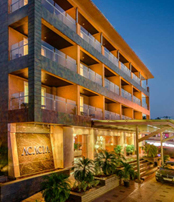 A/c Name: Kafila Hospitality & Travels Pvt. Ltd.
We are pioneer of air ticketing in India as our core business model, provide all our customers with on-line reservations of all Domestic and International Airlines operating in India on our online B2B platform www.kafila.travel and also stock tickets of all Domestic Airlines namely, Indian Airlines, Jet Airways and Vistara and International Airlines like Qatar, Singapore, Malaysian, Lufthansa Austrian etc. All tickets are readily available, the On-line reservation systems available, namely Amadeus, Galileo are installed in our office. We are providing a portal which shows all the daily sales report, bills, and ticket amount. This first online portal enable users to go for B2B2B platform. This helps our franchises to grow the network and enable their users with online platform. 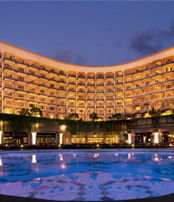 We provide Hotels and Services all across the globe. We represent the following companies across the globe and have been appointed as preferred wholesalers by them in our territory , namely the following: London, United Kingdom, Special Tours Europe Destinations of the World, Dubai, UAE, as well as ground handlers in Thailand, Malaysia, Singa-pore, Srilanka, Mauritius, Egypt, Australia and New Zealand etc. 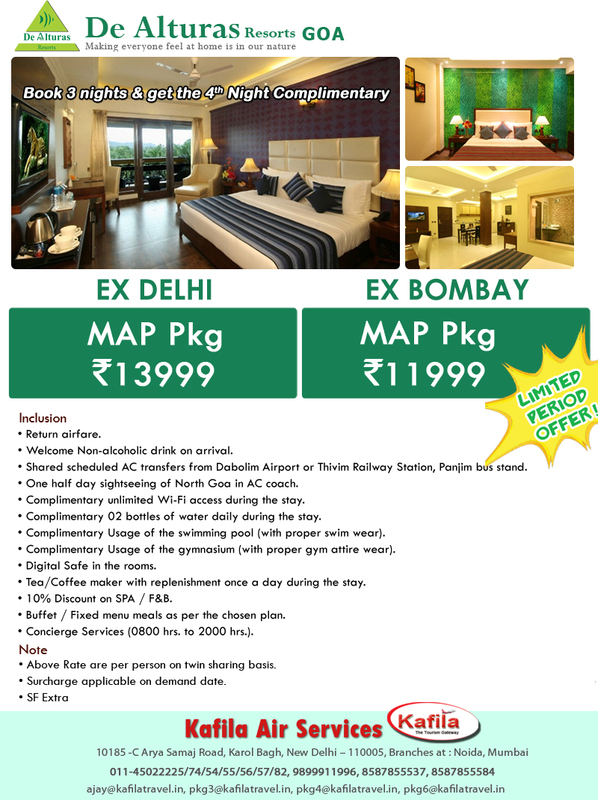 With GTA , which is one of the Leading online Hotel Reservations Company of the world with online platform of Hotel booking for Domestic hotels across India with about 2000 hotel inventory for 2star to leading 5 Star inventory. 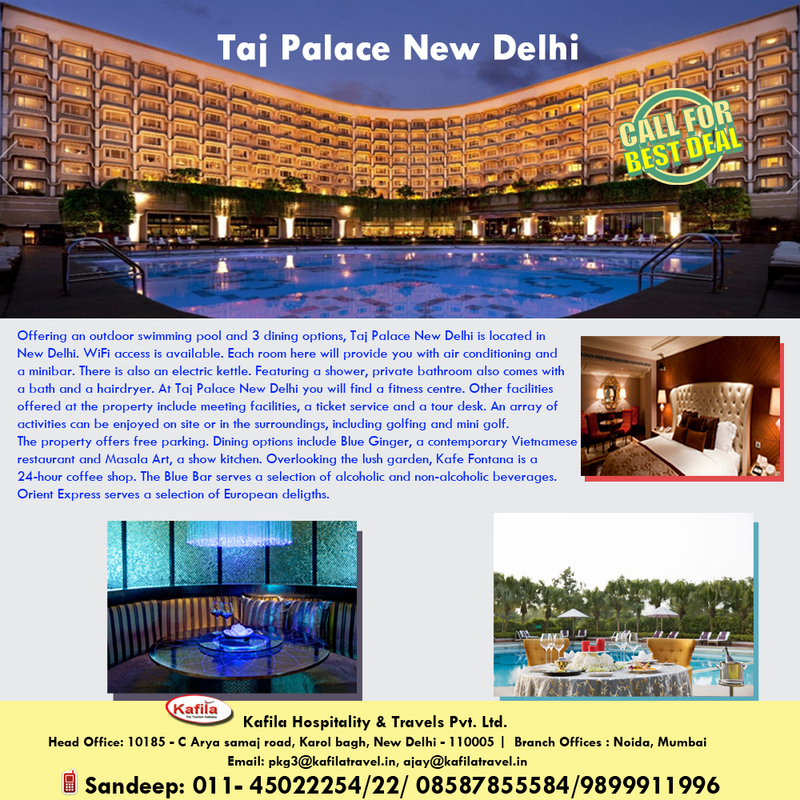 Along with Hotel Reservations, we also have special contracted tariffs large and small Hotels all across India, and provide our clients, with better priced Packages all across India also. We mainly wholesale per Night Domestic Hotels with packages amongst Travel Agents because of our special contracts and service Incoming Tourist Groups from Germany, China and Japan. We own a small fleet of Cars for Transfers and Sightseeing, and directly contract with Hotels for all inbound movement.We are serving plenty of domestic and international packages for Honeymooners, Incentive Groups and FIT movements in our Fully paid packages section. In the near future, we plan to make this into a major revenue department and hope to grow on this Department. All the policies are issued in house, and cover everything from illness or Accidents to Baggage or Passport loss. Kafila is awarded by Go Air for the best seller of low cost airlines in 2007 & 2008. Kafila is awarded by Kingfisher for the best seller of Domestic airlines inin 2008 & 2009 and 2009 & 2010. Kafila was awarded as 1st agent and best seller by Air Deccan. Our people are our most valuable asset. Our Team is comprised of highly skilled hospitality professionals. We cultivate a culture where our people are groomed to be leaders in their work areas and create future leaders. First online portal serving B2B2B and B2B2C channel in India. We have team of professionals working with us to make things more friendly ERP solution for travel agencies. 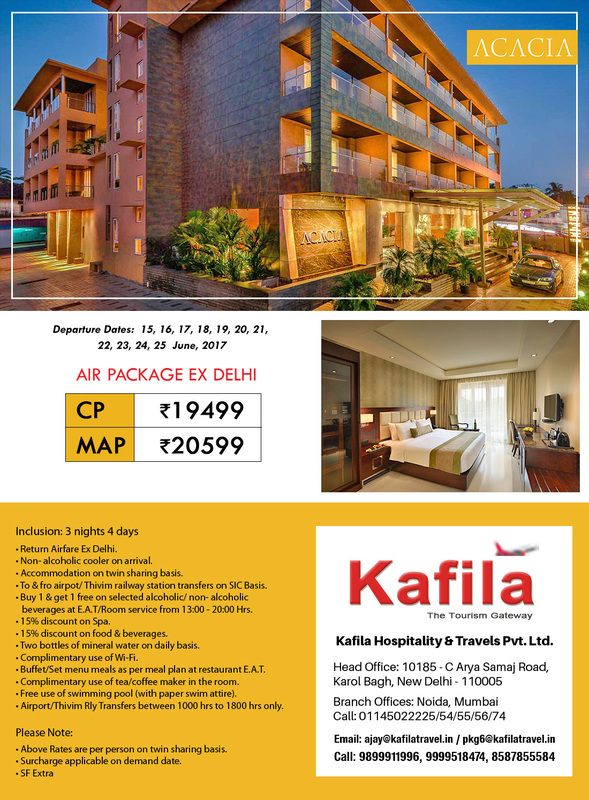 Kafila started in a small Shop at Karol Bagh New Delhi, when we Planned to make people travel in just 700 Rs with an airline called Air Deccan. We saw aviation market in India is a close market where our people are not traveling or can afford traveling on aircraft we were only dependent on our railways, primarily driven by cash, which was lacking quality products and services. The idea of selling Aviation online and making people travel at cheaper price style was born there. We joint hand with Areca and made people know about traveling on INDIA'S FIRST LOW COST CARIRER. Today we are the largest thing, of its kind on the Ground. We feel proud to have made it with the help of the whole team. Learn more about us here. We just kept one focus, that was how a partner can sell more lowly and efficiently to his customer and what sales tools can we give him to service his customer better. That one focus and feedback from all our partners let us to create a powerful platform where the word of mouth itself got more and more. 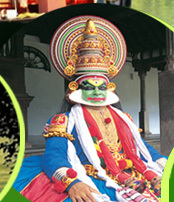 Kerala is one of the most popular tourist destinations. Copyright © 2011 www.kafilatravel.in All rights reserved. This agreement ("user agreement") incorporates the terms and conditions for kafilatravel.in (India) Pvt. Ltd and its affiliate Companies ("kafila") to provide services to the person (s) ("the User") intending to purchase or inquiring for any products and/ or services of kafila by using kafila's websites or using any other customer interface channels of kafila which includes its sales persons, offices, call centers, advertisements, information campaigns etc. Both User and kafila are individually referred as 'party' to the agreement and collective referred to as 'parties'. The Users availing services from kafila shall be deemed to have read, understood and expressly accepted the terms and conditions of this agreement, which shall govern the desired transaction or provision of such services by kafila for all purposes, and shall be binding on the User. All rights and liabilities of the User and/or kafila with respect to any services to be provided by kafila shall be restricted to the scope of this agreement. kafila reserves the right, in its sole discretion, to terminate the access to any or all kafila websites or its other sales channels and the related services or any portion thereof at any time, without notice, for general maintenance or any reason what so ever. In addition to this Agreement, there are certain terms of service (TOS) specific to the services rendered/ products provided by kafila like the air tickets, MICE, bus, rail, holiday packages etc. Such TOS will be provided/ updated by kafila which shall be deemed to be a part of this Agreement and in the event of a conflict between such TOS and this Agreement, the terms of this Agreement shall prevail. The User shall be required to read and accept the relevant TOS for the service/ product availed by the User. kafila's Services are offered to the User conditioned on acceptance without modification of all the terms, conditions and notices contained in this Agreement and the TOS, as may be applicable from time to time. For the removal of doubts, it is clarified that availing of the Services by the User constitutes an acknowledgement and acceptance by the User of this Agreement and the TOS. If the User does not agree with any part of such terms, conditions and notices, the User must not avail kafila's Services. In the event that any of the terms, conditions, and notices contained herein conflict with the Additional Terms or other terms and guidelines contained within any other kafila document, then these terms shall control. kafila reserves the right to charge listing fees for certain listings, as well as transaction fees based on certain completed transactions using the services. kafila further reserves the right to alter any and all fees from time to time, without notice. In case, there is a short charging by kafila for listing, services or transaction fee or any other fee or service because of any technical or other reason, it reserves the right to deduct/charge/claim the balance subsequent to the transaction at its own discretion. In the rare possibilities of the reservation not getting confirmed for any reason whatsoever, we will process the refund and intimate you of the same. kafilatravel.in is not under any obligation to make another booking in lieu of or to compensate/ replace the unconfirmed one. All subsequent further bookings will be treated as new transactions with no reference to the earlier unconfirmed reservation. The User shall request kafilatravel.in for any refunds against the unutilized or 'no show' air or hotel booking for any reasons within 90 days from the date of departure for the air ticket and/or the date of check in for the hotel booking. Any applicable refunds would accordingly be processed as per the defined policies of Airlines, hotels and kafilatravel.in as the case may be. No refund would be payable for any requests made after the expiry of 90 days as above and all unclaimed amounts for such unutilized or 'no show' air or hotel booking shall be deemed to have been forfeited. Any information which is specifically mentioned by kafila as Confidential shall be maintained confidentially by the user and shall not be disclosed unless as required by law or to serve the purpose of this agreement and the obligations of both the parties therein. kafila may send booking confirmation & itinerary information & update the customer on the booking status and any further itinerary information via SMS (short messaging service) on the mobile number given by the customer at the time of booking. The customer hereby unconditionally consents such intimation via SMS by kafila in accordance with the 'Do not disturb' guidelines of Telecom Regulatory Authority of India (TRAI) or such other authority in India and abroad. kafila is responsible only for the transactions that are done by the User through kafila. kafila will not be responsible for screening, censoring or otherwise controlling transactions, including whether the transaction is legal and valid as per the laws of the land of the User. kafila is not responsible for any errors, omissions or representations on any of its pages or on any links or on any of the linked website pages. kafila does not endorse any advertiser on its web pages in any manner. The Users are requested to verify the accuracy of all information on their own before undertaking any reliance on such information. The linked sites are not under the control of kafila and kafila is not responsible for the contents of any linked site or any link contained in a linked site, or any changes or updates to such sites. kafila is providing these links to the Users only as a convenience and the inclusion of any link does not imply endorsement of the site by kafila. Unless explicitly provided by kafila in any specific service or deliverable, obtaining sufficient insurance coverage is the obligation/option of the user and kafila doesn't accept any claims arising out of such scenarios. Insurance, if any provided as a part of the service/ product by kafila shall be as per the terms and conditions of the insuring company. The User shall contact the insurance company directly for any claims or disputes and kafila shall not provide any express or implied undertakings for acceptance of the claims by the insurance company. The user agrees that there can be exceptional circumstances where the service operators like the airlines, hotels, the respective transportation providers or concerns may be unable to honor the confirmed bookings due to various reasons like climatic conditions, labor unrest, insolvency, business exigencies, government decisions, operational and technical issues, route and flight cancellations etc. If kafila is informed in advance of such situations where dishonor of bookings may happen, it will make its best efforts to provide similar alternative to its customers or refund the booking amount after reasonable service charges, if supported and refunded by that respective service operators. The user agrees that kafila being an agent for facilitating the booking services shall not be responsible for any such circumstances and the customers have to contact that service provider directly for any further resolutions and refunds. The User agrees that in situations due to any technical or other failure in kafila, services committed earlier may not be provided or may involve substantial modification. In such cases, kafila shall refund the entire amount received from the customer for availing such services minus the applicable cancellation, refund or other charges, which shall completely discharge any and all liabilities of kafila against such non-provision of services or deficiencies. Additional liabilities, if any, shall be borne by the User. kafila shall not be liable for delays or inabilities in performance or nonperformance in whole or in part of its obligations due to any causes that are not due to its acts or omissions and are beyond its reasonable control, such as acts of God, fire, strikes, embargo, acts of government, acts of terrorism or other similar causes, problems at airlines, rails, buses, hotels or transporters end. In such event, the user affected will be promptly given notice as the situation permits. Without prejudice to whatever is stated above, the maximum liability on part of kafila arising under any circumstances, in respect of any services offered on the site, shall be limited to the refund of total amount received from the customer for availing the services less any cancellation, refund or others charges, as may be applicable. In no case the liability shall include any loss, damage or additional expense whatsoever beyond the amount charged by kafila for its services. In no event shall kafila and/or its suppliers be liable for any direct, indirect, punitive, incidental, special, consequential damages or any damages whatsoever including, without limitation, damages for loss of use, data or profits, arising out of or in any way connected with the use or performance of the kafila website(s) or any other channel . Neither shall kafila be responsible for the delay or inability to use the kafila websites or related services, the provision of or failure to provide services, or for any information, software, products, services and related graphics obtained through the kafila website(s), or otherwise arising out of the use of the kafila website(s), whether based on contract, tort, negligence, strict liability or otherwise. kafila is not responsible for any errors, omissions or representations on any of its pages or on any links or on any of the linked website pages. Nevertheless, kafila will always make its best endeavors to ensure that the content on its websites or other information channels are free of any virus or such other malwares. The customer is aware that kafilatravel.in provides various services like hotel bookings, car rentals, holidays and would like to learn about them, to enhance his / her travel experience. The customer hereby specifically authorizes kafilatravel.in to contact the user with offers on various services offered by it through direct mailers, e-mailers, telephone calls, short messaging services (SMS) or any other medium, from time to time. In case that the customer chooses not to be contacted, he / shall write to kafilatravel.in for specific exclusion at service@kafilatravel.in. kafila may provide the User with contents such as sound, photographs, graphics, video or other material contained in sponsor advertisements or information. This material may be protected by copyrights, trademarks, or other intellectual property rights and laws. The User may use this material only as expressly authorized by kafila and shall not copy, transmit or create derivative works of such material without express authorization. The travel bookings done by kafila are subject to the applicable requirements of Visa which are to be obtained by the individual traveller. kafila is not responsible for any issues, including inability to travel, arising out of such Visa requirements and is also not liable to refund for the untraveled bookings due to any such reason. Unless otherwise specified, the kafila services are for the User's personal and non - commercial use. The User may not modify, copy, distribute, transmit, display, perform, reproduce, publish, license, create derivative works from, transfer, or sell any information, software, products or services obtained from the kafila website(s) without the express written approval from kafila. The User agrees to indemnify, defend and hold harmless kafila and/or its affiliates, their websites and their respective lawful successors and assigns from and against any and all losses, liabilities, claims, damages, costs and expenses (including reasonable legal fees and disbursements in connection therewith and interest chargeable thereon) asserted against or incurred by kafila and/or its affiliates, partner websites and their respective lawful successors and assigns that arise out of, result from, or may be payable by virtue of, any breach or non-performance of any representation, warranty, covenant or agreement made or obligation to be performed by the User pursuant to this agreement. The user shall be solely and exclusively liable for any breach of any country specific rules and regulations or general code of conduct and kafila cannot be held responsible for the same. kafila at its sole discretion reserves the right to not to accept any customer order without assigning any reason thereof. Any contract to provide any service by kafila is not complete until full money towards the service is received from the customer and accepted by kafila. kafila believes that the user's actions may infringe on any third party rights or breach any applicable law or otherwise result in any liability for the user, other users of the website and/or kafila. kafila may at any time in its sole discretion reinstate suspended users. Once the user have been indefinitely suspended the user shall not register or attempt to register with kafila or use the website in any manner whatsoever until such time that the user is reinstated by kafila. Notwithstanding the foregoing, if the user breaches this agreement, the TOS or the documents it incorporates by reference, kafila reserves the right to recover any amounts due and owing by the user to kafila and/or the service provider and to take strict legal action as kafila deems necessary. The User expressly undertakes to provide to kafila only correct and valid information while requesting for any services under this agreement, and not to make any misrepresentation of facts at all. Any default on part of the User would vitiate this agreement and shall disentitle the User from availing the services from kafila. In case kafila discovers or has reasons to believe at any time during or after receiving a request for services from the User that the request for services is either unauthorized or the information provided by the User or any of them is not correct or that any fact has been misrepresented by him, kafila in its sole discretion shall have the unrestricted right to take any steps against the User(s), including cancellation of the bookings, etc. without any prior intimation to the User. In such an event, kafila shall not be responsible or liable for any loss or damage that may be caused to the User or any of them as a consequence of such cancellation of booking or services. The User unequivocally indemnifies kafila of any such claim or liability and shall not hold kafila responsible for any loss or damage arising out of measures taken by kafila for safeguarding its own interest and that of its genuine customers. This would also include kafila denying/cancelling any bookings on account of suspected fraud transactions. The headings and subheadings herein are included for convenience and identification only and are not intended to describe, interpret, define or limit the scope, extent or intent of this agreement, terms and conditions, notices, or the right to use this website by the User contained herein or any other section or pages of kafila Websites or its partner websites or any provision hereof in any manner whatsoever. In the event that any of the terms, conditions, and notices contained herein conflict with the Additional Terms or other terms and guidelines contained within any particular kafila website, then these terms shall control. None of the provisions of any agreement, terms and conditions, notices, or the right to use this website by the User contained herein or any other section or pages of kafila Websites or its partner websites, shall be deemed to constitute a partnership between the User and kafila and no party shall have any authority to bind or shall be deemed to be the agent of the other in any way. 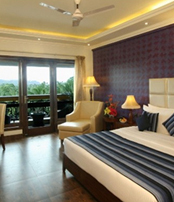 User acknowledges that kafila provides services with reasonable diligence and care. It endeavors its best to ensure that User does not face any inconvenience. However, at some times, the information, software, products, and services included in or available through the kafila websites or other sales channels and ad materials may include inaccuracies or typographical errors which will be immediately corrected as soon as kafila notices them. Changes are/may be periodically made/added to the information provided such. kafila may make improvements and/or changes in the kafila websites at any time without any notice to the User. Any advice received except through an authorized representative of kafila via the kafila websites should not be relied upon for any decisions. kafila reserves the right to change the terms, conditions, and notices under which the kafila websites are offered, including but not limited to the charges. The User is responsible for regularly reviewing these terms and conditions. kafila hereby expressly disclaims any implied warranties imputed by the laws of any jurisdiction or country other than those where it is operating its offices. kafila considers itself and intends to be subject to the jurisdiction only of the courts of NCR of Delhi, India. The User expressly agrees that use of the services is at their sole risk. To the extent kafila acts only as a booking agent on behalf of third party service providers, it shall not have any liability whatsoever for any aspect of the standards of services provided by the service providers. In no circumstances shall kafila be liable for the services provided by the service provider. The services are provided on an "as is" and "as available" basis. kafila may change the features or functionality of the services at any time, in their sole discretion, without notice. kafila expressly disclaims all warranties of any kind, whether express or implied, including, but not limited to the implied warranties of merchantability, fitness for a particular purpose and non-infringement. No advice or information, whether oral or written, which the User obtains from kafila or through the services shall create any warranty not expressly made herein or in the terms and conditions of the services. If the User does not agree with any of the terms above, they are advised not to read the material on any of the kafila pages or otherwise use any of the contents, pages, information or any other material provided by kafila. The sole and exclusive remedy of the User in case of disagreement, in whole or in part, of the user agreement, is to discontinue using the services after notifying kafila in writing. As a registered member of kafilatravel.in, you will be entitled to savings and benefits on airfares, hotel reservations, holiday packages and car rentals, among other travel services. In addition, look forward to receiving monthly newsletters and exclusive promotions offering special deals. To make product or other improvements to our site. In addition, we need your e - mail address to confirm your new member registration and each reservation you transact on our site. As a kafilatravel.in site member you will also occasionally receive updates from us about fare sales in your area, special offers, new kafilatravel.in services, and other noteworthy items. However, you may choose at any time to no longer receive these types of e - mail messages. Please see our Opt - Out Policy described below for details. As a kafilatravel.in site member, you can choose to complete your online profile by providing us with travel preferences, frequent - traveler or affinity numbers, credit card billing information, paper ticket delivery address, and other personal information. This information is primarily used to assist you in making reservations quickly without having to type in the same information repeatedly. For example, you can store your airline frequent - flyer numbers so that when your make a reservation on that airline, we may automatically pre - fill the frequent - flyer number input box for you. kafilatravel.in values opinions and comments from members, so we frequently conduct online surveys. Participation in these surveys is entirely optional. Typically, the information is aggregated, and used to make improvements to the kafilatravel.in site and its services and to develop appealing content, features and promotions for kafilatravel.in site members. Survey participants are anonymous unless otherwise stated in the survey. kafilatravel.in frequently sponsors promotions and sweepstakes to give kafilatravel.in site members the opportunity to win great travel and travel - related prizes. Information collected by us for such activities may include contact information and survey questions. We use contact information to notify contest winners and survey information to develop promotions and product improvements to the kafilatravel.in site. We automatically log generic information about your computer's connection to the Internet, which we call "session data", that is anonymous and not linked to any personal information. Session data consists of things such as IP address, operating system and type of browser software being used and the activities conducted by the user while on kafilatravel.in site. An IP address is a number that lets computers attached to the internet, such as our web servers, know where to send data back to the user, such as the pages of the site the user wishes to view. We collect session data because it helps us analyze such things as what items visitors are likely to click on most, the way visitors are clicking through the site, how many visitors are surfing to various pages on the site, how long visitors to the site are staying and how often they are visiting. It also helps us diagnose problems with our servers and lets us better administer our systems. Although such information does not identify any visitor personally, it is possible to determine from an IP address a visitor's Internet Service Provider (ISP), and the approximate geographic location of his or her point of connectivity. First and foremost, you can rest assured that no personally identifiable information ("PII") about you (e.g., name, address, etc.) is gathered or stored in the cookies placed by the kafilatravel.in site and, as a result, none can be passed on to any third parties. Most Web browsers automatically accept cookies. Of course, by changing the options on your web browser or using certain software programs, you can control how and whether cookies will be accepted by your browser. kafilatravel.in supports your right to block any unwanted Internet activity, especially that of unscrupulous websites. However, blocking kafilatravel.in cookies may disable certain features on the kafilatravel.in site, and may make it impossible to purchase or use certain services available on the kafilatravel.in site. Please note that it is possible to block cookie activity from certain websites while permitting cookies from sites you trust, like kafilatravel.in. From time to time we may add or enhance services available on kafilatravel.in site. To the extent these services are provided, and used by you, we will use the information you provide to facilitate the service requested. For example, if you email us with a question, we will use your email address, name, nature of the question, etc. to respond to your question. We may also store such information to assist us in making the site the better and easier to use. When you reserve or purchase travel services through kafilatravel.in, we must provide certain of your personal information to the airline, hotel, car - rental agency, travel agency or other involved third party to enable the successful fulfillment of your travel arrangements. However, we do not sell or rent individual customer names or other personal information to third parties. We use non - personally identifiable information in aggregate form to build higher quality, more useful online services by performing statistical analysis of the collective characteristics and behavior of our customers and visitors, and by measuring demographics and interests regarding specific areas of the kafilatravel.in Site. We may provide anonymous statistical information based on this data to suppliers, advertisers, affiliates and other current and potential business partners. We may also use such aggregate data to inform these third parties as to the number of people who have seen and clicked on links to their web sites. Occasionally, kafilatravel.in will hire a third party to act on our behalf for projects such as market - research surveys and contest - entry processing and will provide information to these third parties specifically for use in connection with these projects. The information we provide to such third parties is protected by a confidentiality agreement and is to be used solely for completing the specific project. At any time, you may unsubscribe from our Real Deals, Insider, or other newsletter or similar services through the "My Account" link on the kafilatravel.in Site home page. As a member or promotion/sweepstakes entrant, you will occasionally receive e-mail updates from us about fare sales in your area, special offers, new kafilatravel.in services, and other noteworthy items. We hope you will find these updates interesting and informative. Of course, if you would rather not receive them, please click on the "unsubscribe" link or follow the instructions in each e - mail message or send us an email unsubscribe@kafilatravel.in. kafilatravel.in reserves the right to limit membership to those who will accept e - mails. Members will be notified via e - mail prior to any actions taken. All payments on the kafilatravel.in site is Verisign SSL secured. This means all personal information you provide to kafilatravel.in is transmitted using SSL (Secure Socket Layer) encryption. SSL is a proven coding system that lets your browser automatically encrypt, or scramble, data before you send it to us. The same process happens when you make travel purchases on the kafilatravel.in site. Thank you for using kafilatravel.in! 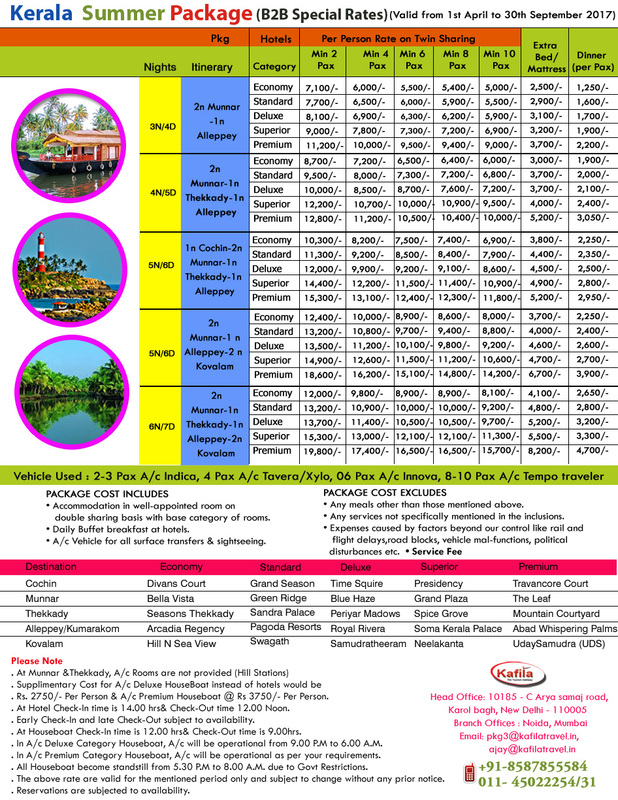 In case of different airlines, kindly request you to book your roundtrip booking separate. 1. Fare of INBOUND airlines might be increased while booking during OUTBOUND and vice-versa. 2. The amount of booked sector will have to pay by Company/Customer. 3. If you want to cancel your booked sector you'll have to pay cancelation charge. Due to airline ticket cancellation policy changes dynamically in date & time wise, so please contact call center before going to cancel the ticket. If you are holding e-tickets, you can cancel online on the kafilatravel.in website, if the cancellation request is made more than 4 hours prior to the scheduled time of your flight. If the cancellation request is submitted less than 4 hours prior to the scheduled time of your flight, you need to contact the airlines to get your reservation cancelled. If you are cancelling a paper ticket? please note that it must reach kafilatravel.in's office within 48 hours of your cancellation request to process your ticket endorsements and refund.The above mentioned cancellation process and refund processing time may vary.